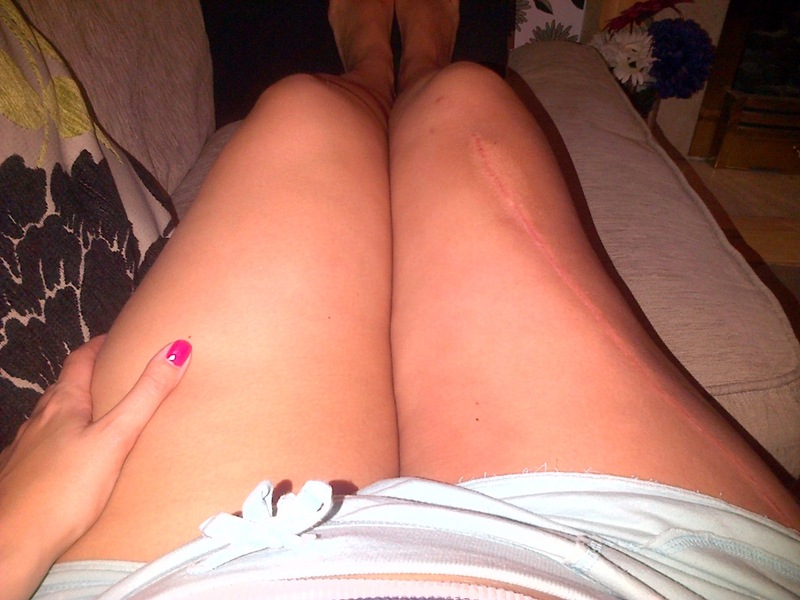 I thought I’d share a scar update for you non-squeamish people out there…. Before my surgery, my nurse said I would be able to tell people I’d gotten into a fight with a shark. Mr Chandrasekar has done too good a job for that story to stick….it’s far too neat!!! The leg may be ugly but it’s a small price to pay 🙂 Anyway, if you’re squeamish look away now.